MacLachlan College | 2018-2019 Minor Midget Player of the year - Congratulations Lawson! 2018-2019 Minor Midget Player of the year - Congratulations Lawson! Huge congratulations to Lawson Sherk for his achievement, hard work, and dedication! 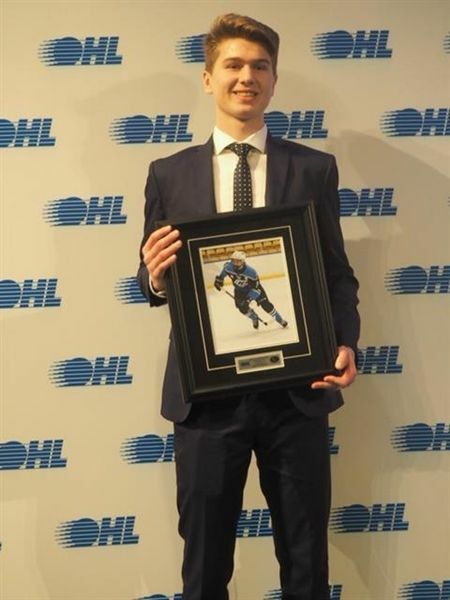 Lawson was selected as the 2018-2019 Minor Midget Player of the year for his division and was recognized at the Ontario Hockey League Cup Banquet. The Halton Hurricanes (OMHA SCTA) are currently competing at the 2019 OHL Cup Showcase Tournament and will be competing in the quarterfinals today. Go Hurricanes!